Have you ever eaten an orange and wondered if you could grow the seeds? The short answer is yes, rather easily actually… I have been doing it for a while now with excellent results! 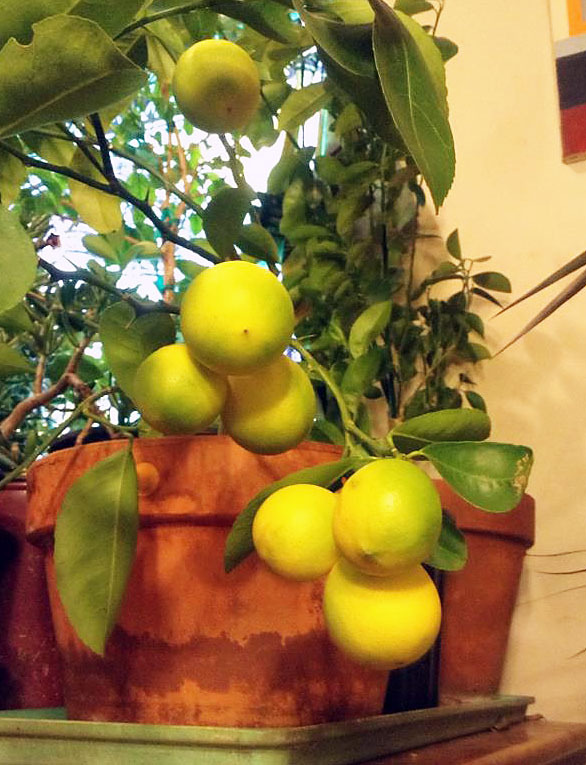 This post is meant to explain some of the methods of propagating citrus trees used in commercial orchards, as well as a fun way to grow your own citrus trees at home as house plants. I am always looking for new and different indoor gardening projects I can pass the cold winter weeks with, I even have a mango tree growing from a super tasty ‘Golden” mango I ate last spring. A few winters back, I was eating a Meyer lemon that was absolutely full of seeds, each seed sent up 5 or 6 sprouts. I have had several different types of citrus trees in the past but they were purchased in a green house and were quite expensive. I did some research on the internet, and was quite disappointed with the tiny amount of information that is available on starting citrus trees from seed. Naturally, commercial citrus growers need to ensure the best possible crop, and want to make sure all their trees are of the same high quality. To do this, each new tree they plant is grown, or propagated, not from a seed, but by grafting or budding. In most citrus trees, the scion, or top of the tree, is a different variety from the roots or rootstock of the tree. Citrus growers plant trees whose tops will grow “Washington” navel oranges, or “Eureka” lemons on a rootstock that has special characteristics like disease resistance, quick to bear fruit or restricting tree size for easier harvesting. After obtaining the seeds, by whatever tasty method you choose, wash and dry them thoroughly. 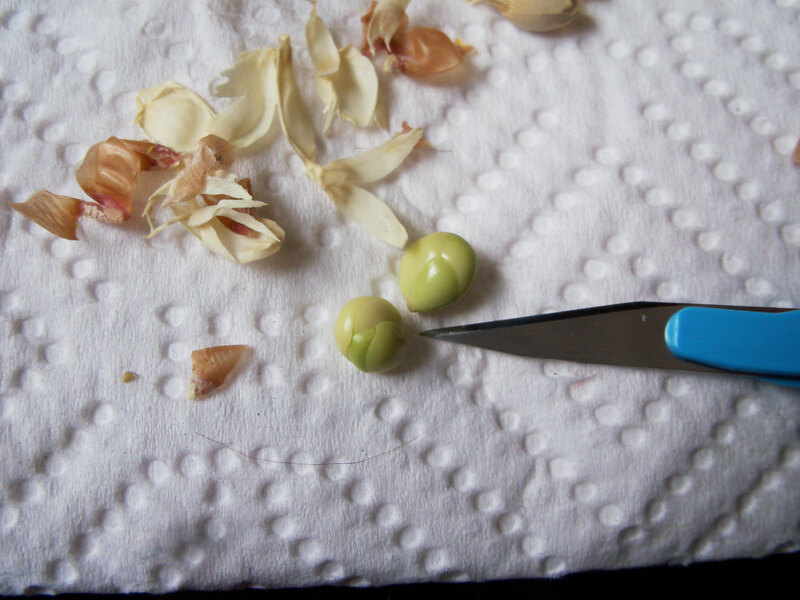 Begin by cutting the point off of the top of the seed, then the seed will easily peal using your fingernails. Citrus seeds should always be planted immediately, they do not save well. 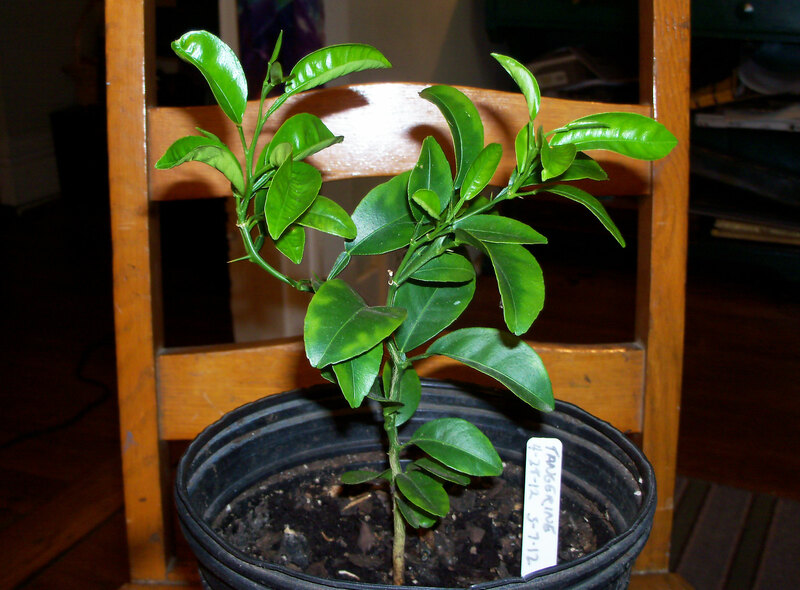 A number of citrus trees will come true from seed. There is a way that you can tell by examining a few seeds from the fruit. 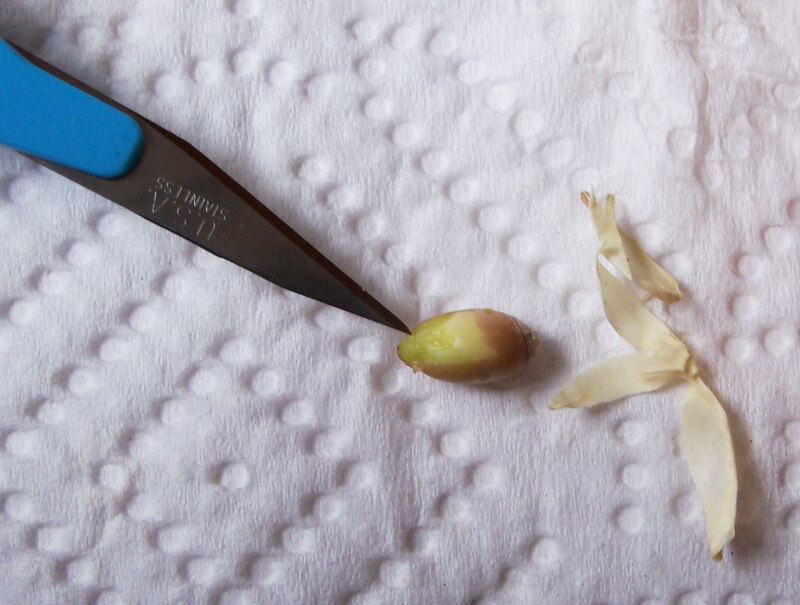 Peel off the outer and inner seed coat, it the seed is polyembryonic, i.e. has many embryos, it will come true. When you open the seed you will see that the various embryos will be convoluted upon each other. If it is mono-embryonic there will be one embryo with two distinct cotyledons. Almost any sweet orange will come true from seed, as well as key limes, grapefruit, tangerine and tangelo. Two varieties that will not come true from seed are “Temple” and “Pomelo”. Showing two seeds with multiple cotyledons, these seeds will sprout several seedlings upon germination. These should be planted immediately, they will lose viability as they sit exposed to air. I find germinating the seed is actually the easiest part of growing citrus trees, my method is rather straight forward. I start by cutting open the fruit in a way as to not damage the seeds inside. Wash the seeds off and place them on a towel. I like to use a medical scalpel, but any razor blade will work, cut the seed at the tip being careful not to damage the fragile contents. You can use any medium, but I prefer peat pellets, they are simple, cheap and clean. 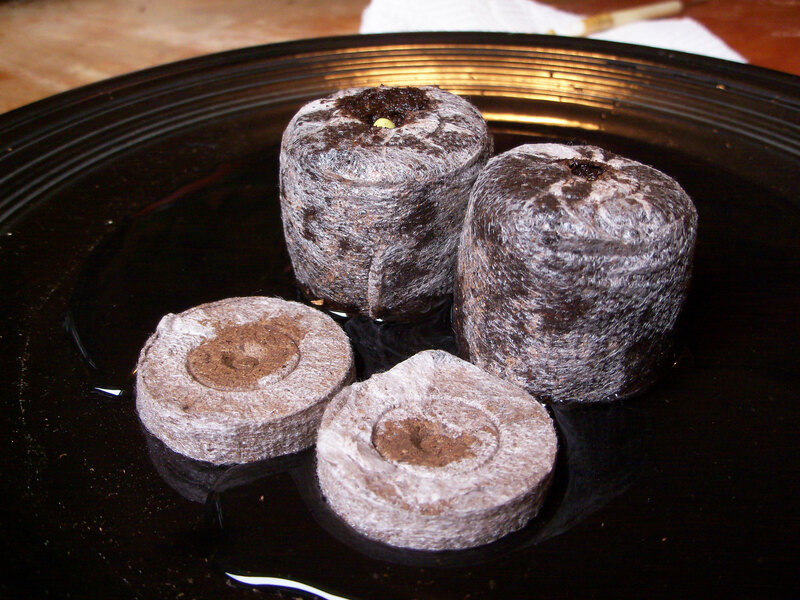 Simply put them in some warm water for a few minutes and they will expand, then you just pop the seed in the hole… Easy! I prefer to use peat pellets, but any growing medium will work. Plant the peeled seeds knobby side down 1/2″ – 1″ deep, if its cold, provide supplemental heat to the growing medium and cover them with something to create a greenhouse. Germination seems to take anywhere from 5 days, to several weeks, after a few weeks, the seeds have probably rotted and should be discarded. I have had an 80% germination rate using this method, plant only the biggest, juiciest seeds in the fruit, and maintain a consistent level of moisture. 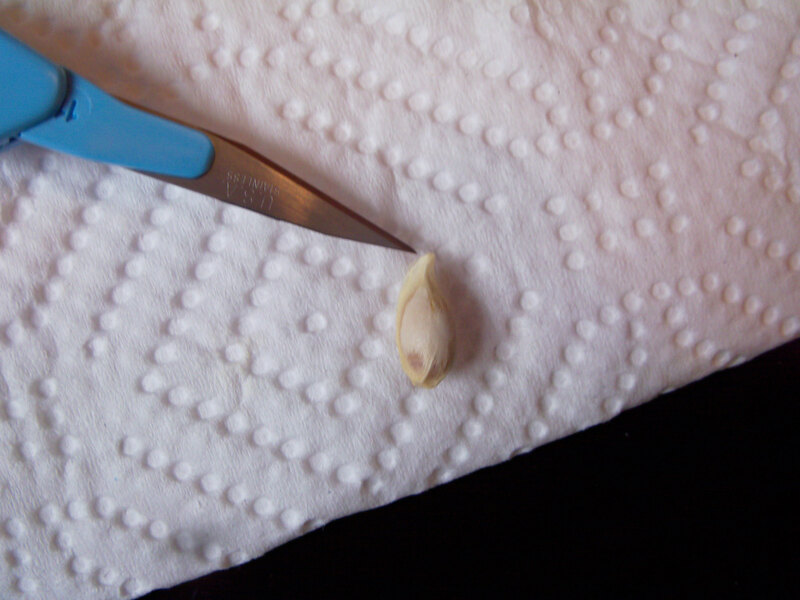 Once the seeds germinate, remove any cover and move the seedling to a light source. After the first true leaf appears, re-pot the plant into a larger container. Let the tree dry out between watering, and feed once every 6 months with a high acidity fertilizer. If you live in the north, citrus fertilizer is rarely available so substitute with azalea/rhododendron fertilizer. 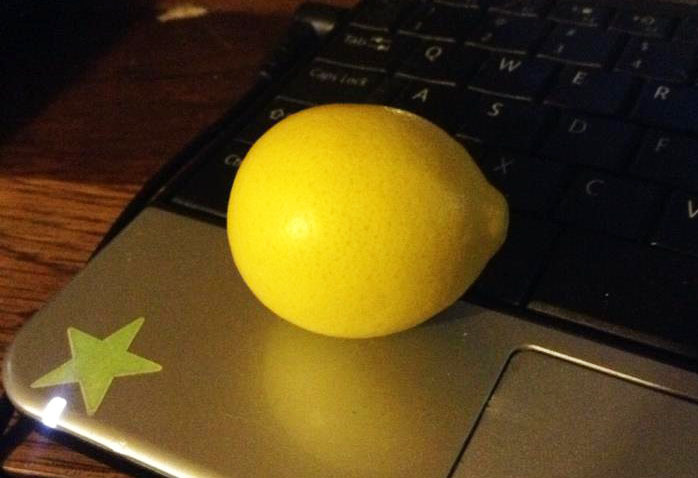 First “Meyer” Lemon of 2013 harvested February 1st. 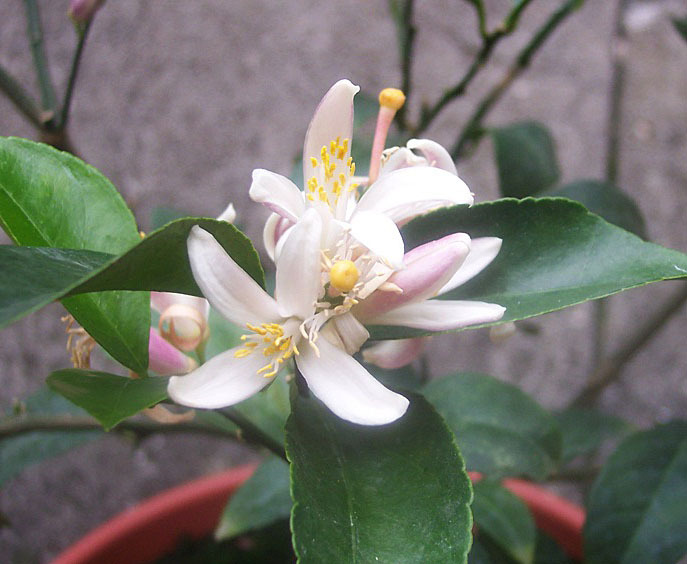 This entry was posted in Gardening, Permaculture, Trees and tagged citrus, fruit, germination, kumquat, lime, meyer lemon, orange, pomelo, tangerine. Guest post would be awesome… I have never been asked that before… Thank you!.. Question: does citrus grown from seed grow up to bear fruit that’s “true” to the taste and configuration of the parent plant, or does it grow into a sport (a genetic wild-card) like apple seedlings do? I’ve got a key lime seedling that’s just now flowering for the very first time, after about four years in the pot. You are totally speaking my language in this post!! 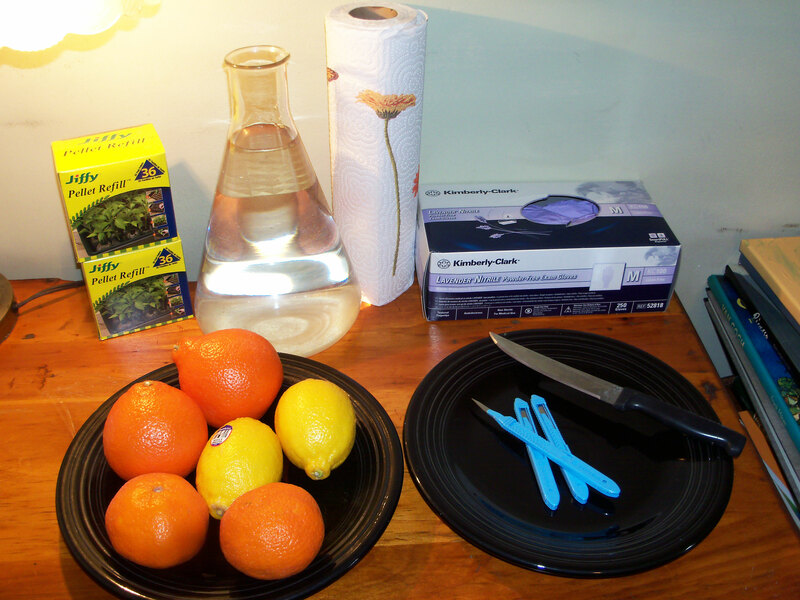 I have been trying to grow citrus from grocery store fruit all year!! And apples. And pears. And dates. And starfruit. You name it–it’s trying to germinate somewhere in my house.. Thanks for sharing your expertise! I’m so excited to try your method! Well don’t leave us hanging! How did the lemon taste?! This is very interesting. I just wonder if I can keep it going here in Wisconsin. Thankfully, I just bought a bag of lemons that were on sale. Maybe I’ll give it a shot. Thanks! I got lucky with a lemon tree busy growing without my meaning to plant it. I was advised to dig a hole, a spade length’s deep more or less and chuck in any left over debris usually meant for a compost heap. On top of that I put a layer of dried grass (lawn) and a layer of soil and then planted my marjoram, rosemary and so on. 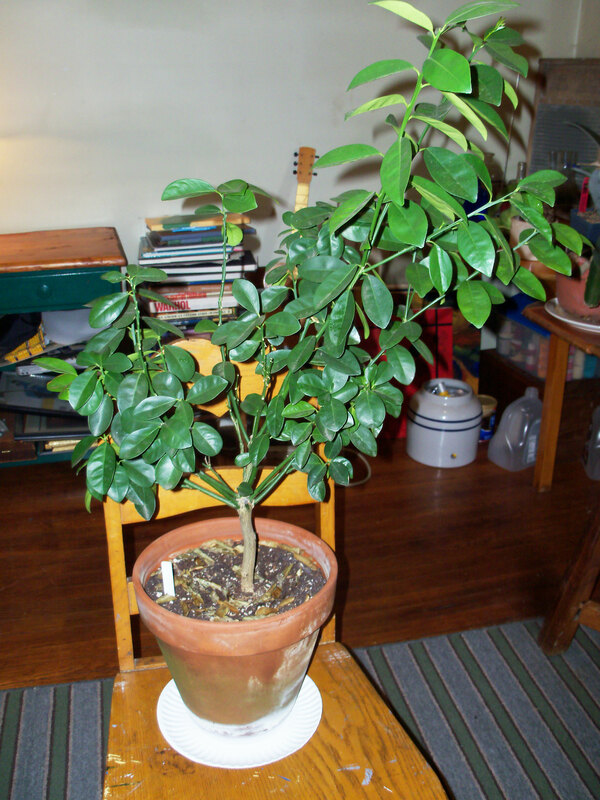 Next thing this lemon tree is growing and is now about 30cm high. It came from way down within the compost. The tomatoes around this tree is doing pretty well too. Got a good crop this year. They’re huge! Now doing a compost heap the ordinary way. It’s taken ages for the peels and things to become compost but I think I’m finally getting there. Sooo rewarding! Sorry to have been so absent recently. Sara and I are preparing for a move to Ecuador–and that process has been more consuming than I’d imagined. However, we DO plan a trip that will take us through Pgh before we leave. Hope we can meet for lunch or coffee or something. Just have no idea yet when it will be. We need to wait for our home to sell. Can’t wait to pass this post on to Sara. She has a lemon tree in our guest room that is facing some challenges. You method for starting a tree from seed will interest her immensely.